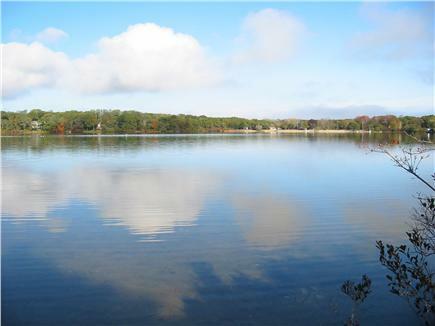 Enjoy 100 acre Great Pond right from the Dock! 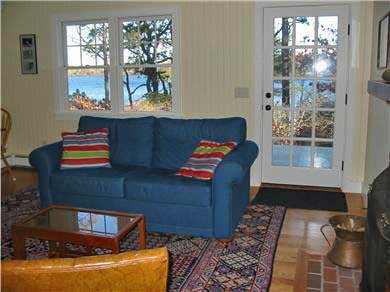 Located on Great Pond, this year-round cottage is nestled in the pines off a gravel dead-end road. Adjacent to town conservation land, a more private setting is hard to find. 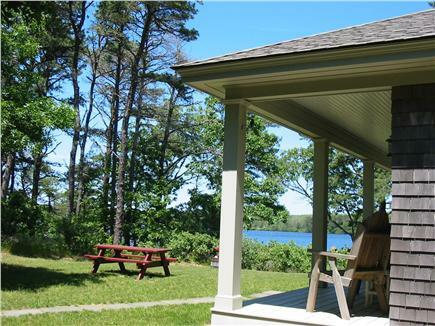 Watch the sun rise over Eastham's largest pond from the deck, living room and master bedroom. Enjoy quiet afternoons and evenings on the porch. Walk through conservation land to freshwater beach. 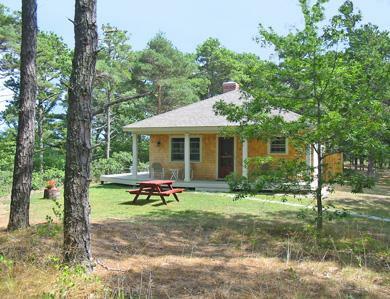 Close to bike path, Cape Cod Bay beaches (including First Encounter Beach) and the Cape Cod National Seashore. 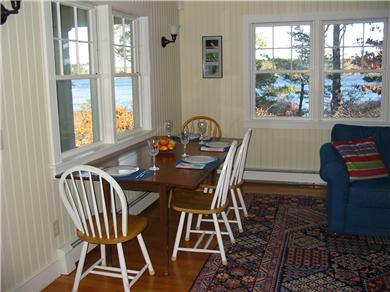 Bring your canoe, kayak or sailboat, the cottage has private access to Great Pond for boating, fishing and swimming. 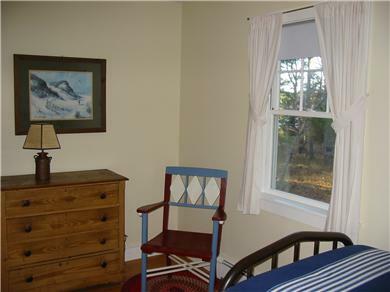 Built in 2004, this house at 12 Clark's Point Road has all the amenities you need - full bath with tub/shower, washer/dryer, TV with CD/DVD player, full kitchen with dishwasher, stove/oven & microwave, working fireplace, wireless internet, outdoor shower with hot & cold water. There is an ample shed for storing bicycles, beach chairs and other outdoor gear. Regular trash pick-up. Additional pricing info: Refundable cleaning/security deposit required. State and local taxes of 12.45% will apply. 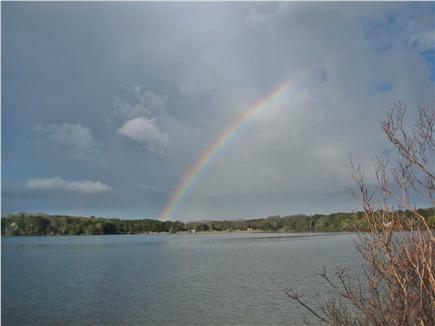 Hard to believe it has been eight years since we discovered Clark's Point and Great Pond. The weather was perfect! First Encounter continues to take our breath away at sunset. Oysters, oysters and more oysters this year. They were fantastic...Visited our favorite beaches, and no trip is complete without a trip to Provincetown. What a great place! We love the proximity to other towns and the bike paths. 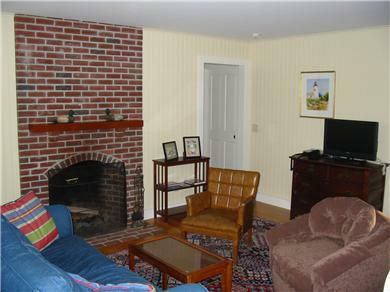 We biked several times, walked the National Seashore, napped and hung out in this comfy home. It was nice to eat here, watch a movie, sit by the fire at night. We also saw a great sunset and sunrise...Thanks for a nice respite. This was our first winter vacation here. It was every bit as wonderful as we'd hoped for. We brought cross county skis and had an awesome afternoon skiing on the bike trail...We bundled up and walked on the windswept beaches. We'll definitely be back for another winter stay. Back for our annual fall respite here at the cottage. We saw a colorful sunset at First Encounter Beach...enjoyed a warming fire as we played checkers....paradise on earth. Well, we could not have timed out two week vacation better!...the weather was Indian Summer delightful and we soaked up the sun, birdsong and ocean air, knowing that we'd be heading to a long winter in Vermont!...Thanks again, we'll see you next year! What a gorgeous week this year! We had summer days in October which prompted a swim in the pond...also kayaked out of Salt Pond into the marshes...Thank you so much! See you next year! Grateful for this beautiful space in this spectacular setting! 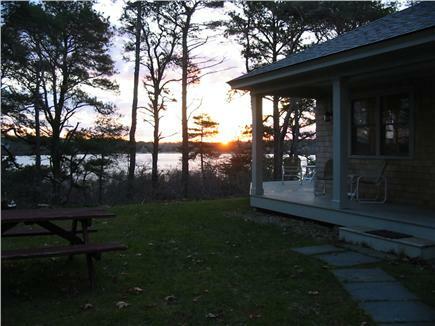 ...Many summers spent in Wellfleet and Eastham in the past - this has been the most peaceful. Lots of swims in bay and ponds. Hikes on beaches were great. Thanks. We had a wonderful stay here...We went biking, kayaking, up to P'town and down to Chatham, to the beach, mini golf and out for ice cream. We had lots of nice evenings out on the dock and enjoyed watching a bunny we named Harold...We had a fun week and want to come again. Thank you for a fantastic stay - we loved out time here and felt at home. The setting is beautiful and peaceful. We enjoyed kayaking on the pond and swimming in such fresh, clean water. Thank you for creating such a beautiful place to come to for a relaxing vacation. Our family has been returning to this peaceful hidden gem for 7 or 8 years now. 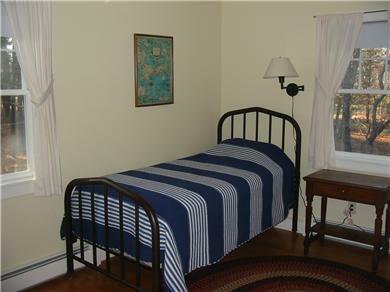 The location in Eastham is perfect since you are situated near the bay beaches, ocean beaches, as well as the bike trail. 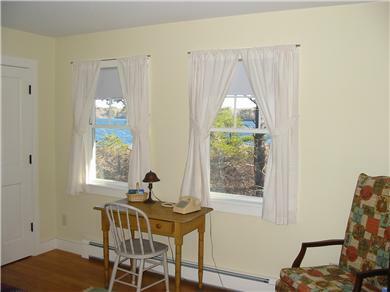 The house itself is tucked away among beautiful pine trees and overlooks Great Pond. 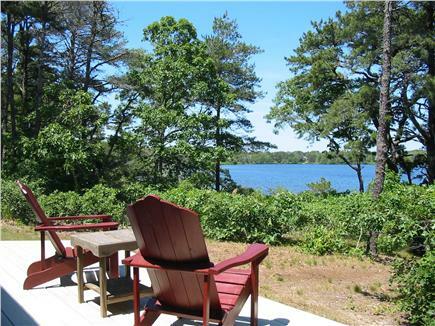 The wrap around deck is therapeutic to sit on any time of day where you can see and hear a variety of birds within the pines and on Great Pond (and also a resident bunny). 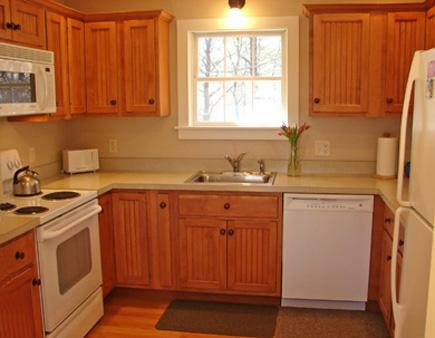 The house is immaculate and has all the amenities you would want. 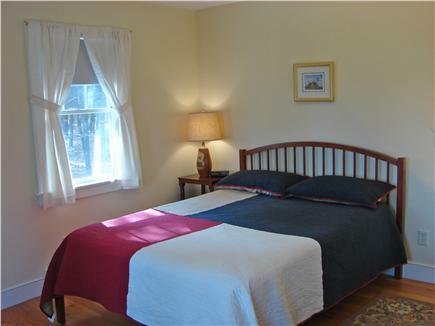 The owner, Bob, is wonderful making sure you are settled and happy. Bring your kayak, SUP board, fishing poles, etc., since you have easy access from your own boat dock.